McDonald’s was the only place open before daybreak, so I waited there to board my Takayama to Shirakawago bus. I noticed a sign in front of this location’s dedicated coffee bar, which advertised a “French Set” consisting of a latte and one of six flavors of macarons, and heard Morissey’s unmistakable voice over the loud speaker. The taste of ordinary coffee still lingered in my mouth as I disembarked the bus an hour later, though I couldn’t remember precisely which song had been playing. Knowing I’d have only a couple hours in Japan’s most-famous farm town before continuing on to Kanazawa, I decided I would first ascend the Tenshukaku Observatory, getting my proverbial money shot before heading back down to the town center for b-roll. I immediately realized this wouldn’t happen (at least not by foot, as I had intended), though as is often the case in Japan, a bus was waiting just feet from the sign that bore the bad news. 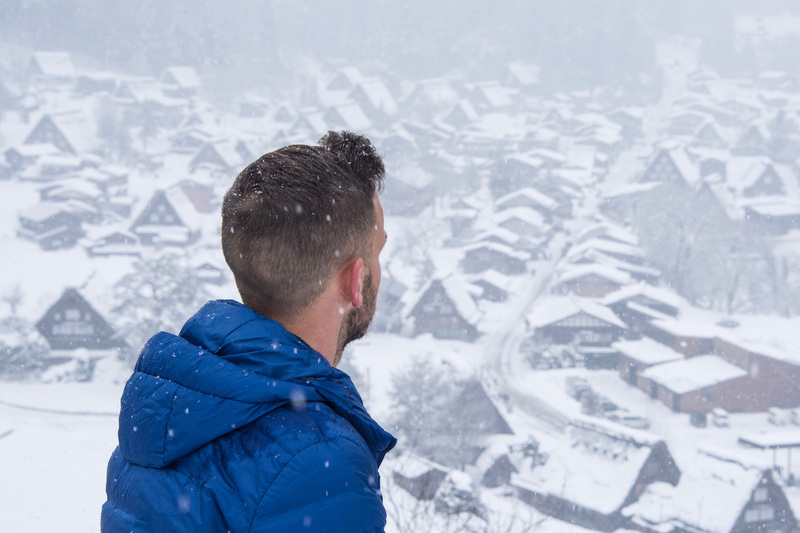 I imagine many travelers squeeze in a Shirakawago day trip between Takayama and Kanazawa, as I’ve done on both of my visits thus far. Arriving at the peak I looked down on the strange Gassho houses, which had apparently been built to resemble monks’ hands in prayer. Or perhaps someone just noticed that after the fact and started a false rumor. 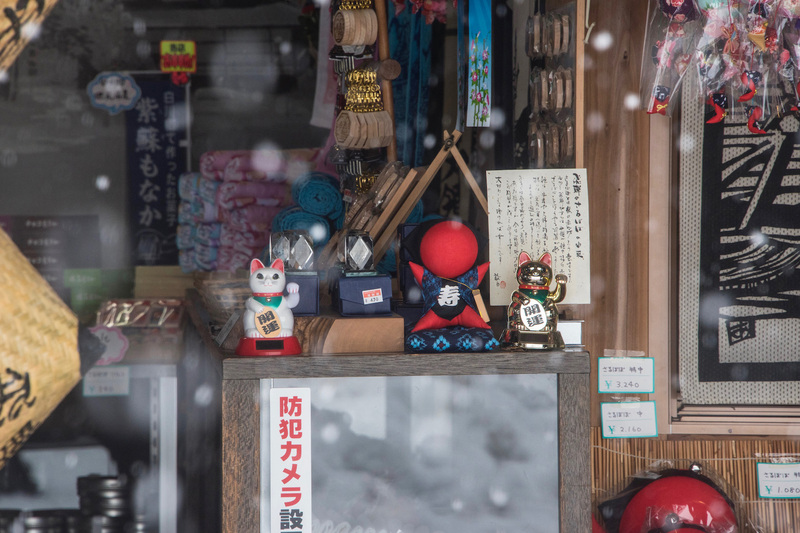 Snow was falling at a decent pace, though I suspected the temperature was only slightly below freezing, as it had been the day before in Takayama. 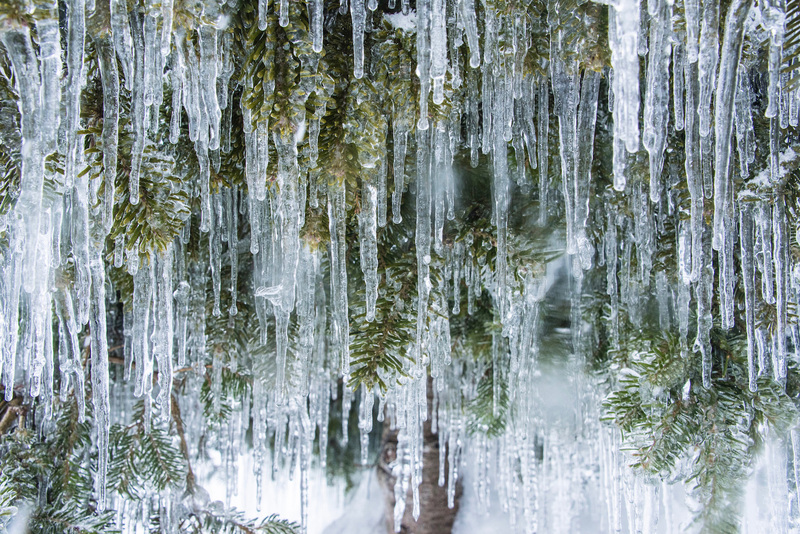 Each flake melted upon contact with my camera equipment, and dissolved into my hair almost immediately. I couldn’t tell whether any of it was sticking to the several inches already on the ground. Back at ground level, I became immediately thankful for my decision to have visited the viewpoint immediately. Another Takayama to Shirakawago bus was arriving, no doubt full of revelers looking to take their own money shots. The Shoji door of a shop I passed was hanging wide open, and I saw menagerie of strange Sarubobo dolls inside. Made without faces so people could imagine the likenesses of their own loved ones when they held them, Sarubobo seemed slightly evil to me, even if I understood the sentiment. My attention turned once again to the roofs of the Gassho houses, which were indeed uncanny in their resemblance to pairs of praying hands. The snow each held up must’ve been must’ve literally weighed hundreds of pounds, to say nothing of how much the dozens of icicles clinging to every eave added. 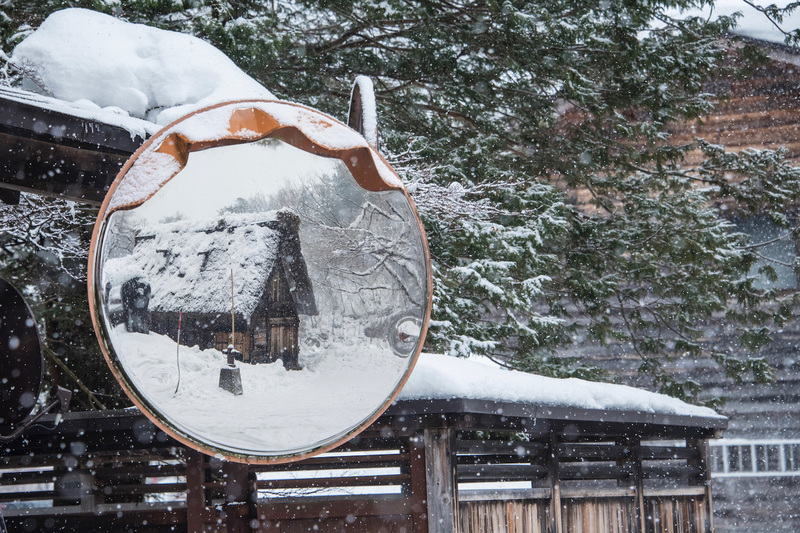 It was at this point that I retracted my observation from earlier on this Shirakawago winter morning. 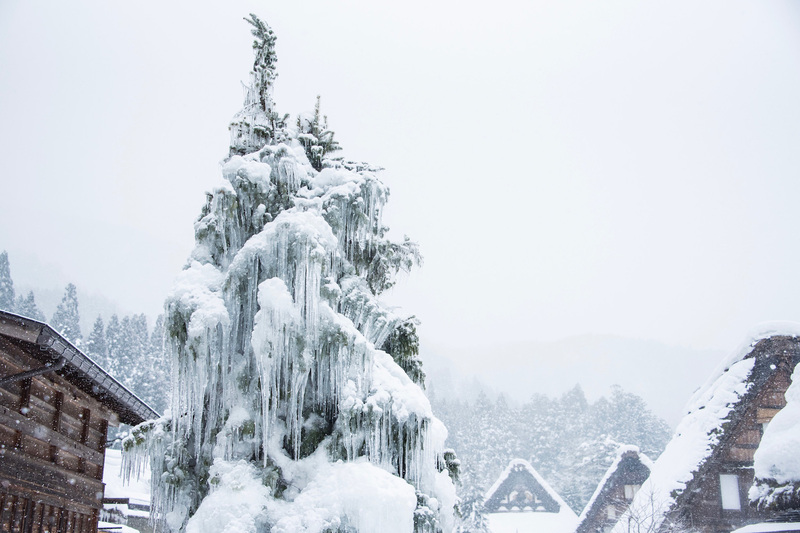 A pine tree just in front of me was completely encased in ice—the temperature was definitely nowhere near freezing. Noticing, via my reflection, that my hair was now wet and matted from the snow my body heat (what else could it have been?) had melted, I popped the hood of my Uniqlo parka over my head. Bad move: Snow had gathered there, too. I could immediately feel that my hair was now soaked, though with my knitted cap somewhere deep in the bowels of my other bag (which was inside one of the overpriced lockers at the bus station) I decided to remained hooded, lest my damp hair freeze outright. I spent a few more minutes walking amid the fantastical farmhouses, wondering among other things whether local people still kept silkworms in their attics. 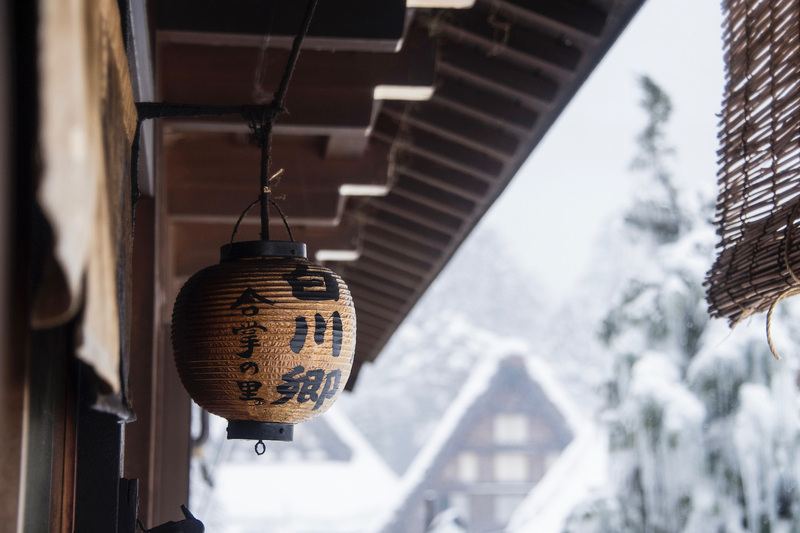 Probably not, I sighed, noting the lack of woven goods for sale at any of the shops, and headed back to catch my Shirakawago to Kanazawa bus. Noticing than a previously shuttered food stall had opened, I ordered a Hida beef rice ball and wash it down with a cup of sweet sake, which had rice husks floating in its milky shallows. I could barely taste any alcohol in it, though it warmed me so I didn’t dare complain. By this point, the taste of McDonald’s coffee had all but dissipated from inside my mouth, though I could’ve done with a macaron or two. I still couldn’t remember the refrain of the Morrissey song that had been playing inside—perhaps it hadn’t even been him, but a convincing impostor. Looking at an advertisement as yet another Takayama to Shirakawago bus arrived in front of my own Kanazawa-bound one, I briefly felt disappointed that I wasn’t going to be here at night to see the famous winter illumination. Retrieving my larger bag, I dug out my beanie and pulled it over my hair, which was now frozen solid.